Wikipedia defines personal branding as the ongoing process of establishing a prescribed image or impression in the mind of others about you as an individual. While many see personal branding as the designate of a few in “high places”, the hard truth is that failing to brand yourself appropriately can cost you your desired career success. A good personal brand will unlock doors in your career, in politics or whatever other areas you are looking to advance into. This being a highly politicized season, there are a few lessons we can pick from our politicians. Let’s take a look for example at the Nairobi Governor elect Hon. Mike Mbuvi or Mike Sonko as he is commonly referred to as. He may not be my or your favorite but we can all learn a thing or two from his political advancement from a business man few knew of, to CEO of Africa’s fastest growing economic hub-Nairobi. For now, let’s focus on his personal branding in the run-up to becoming Governor elect of Nairobi. The first step in personal branding is to identify who it is that you want to influence for success in any of your undertakings. In the case of Mike Sonko, he understood that he would never appeal to the elite community and instead focused on ordinary “mwananchi” and resonated with their struggles. He simply took advantage of failings of the national and county governments by catering to the basic needs of the poor – food, shelter, healthcare and clothing. He simply took advantage of failings of the national and county governments by catering to the basic needs of the poor – food, shelter, healthcare and clothing. It is possible for you to be successful branding yourself for your career advancement with the above approach. Identify a niche’ in the job market where you can stand out in your own element and cater to the needs of that niche’. Do not go about trying to please everyone as that may not work for you. Establish a smaller target group and create a good impression for yourself through consistently portraying a good impression in whatever you do. Establish a smaller target group and create a good impression for yourself through consistently portraying a good impression in whatever you do. While many see networking as simply collecting business cards and storing them in fancy business card holders, I would advise that you go a step further in establishing and maintaining relationships as a way of branding yourself. Don’t be the person who calls people only when you need their help. Take time to identify the interests of your networks, what they are up to and how you can add value to their interests. That way you kill the awkwardness of having to introduce yourself, trying to remind them where you met and who you are when you need them. How will they recommend opportunities to you when they can’t even remember who you are? Remember Sonko’s case of calling the President when he needed him? He may have made it a little awkward by putting The Head of State on loud speaker but we can all learn something from that. A question you can pose to yourself, how many people in “high places” can you call in times of need without having to introduce who you are and where you met? Yes, that too is personal branding and you need it for your career advancement. Quoting Cialdini in his book- Influence, The law of reciprocity simply states that when you do someone a favor they often feel obliged or indebted to reciprocate with something of equal or greater value. In as far as we know, Sonko’s Rescue Team is founded on the basis of service to humanity packaged in philanthropy. We may not exactly know where the resources come from but a large share of the over 800,000 votes he garnered in the just concluded election can be attributed to his generosity. I do not mean that you have to establish your own rescue team as a show of generosity as you brand yourself for career advancement, no. My point is, being generous can begin with the small things like extending a helping hand to people in your circle as a way of showcasing some of the things you really excel in. When opportunity comes, you can be assured that the people who feel indebted to you will feel obliged to either give you a recommendation or bring the opportunity to your attention. Remaining focused means knowing exactly what you want to achieve, discovering what you need to get to where you need to be and actually putting in the work without distractions. Most of us know where we want to be in two, five or ten years. However, very few actually get to where we want to be in five years and the major cause being distractions that come along the way or simply failure to put in the work to get to where we want to be. Personal branding for your career has very little to do with the aesthetics as most people tend to think. Going back to Sonko’s case, he knew that he wanted to become the governor of Nairobi and a degree which he didn’t have at the time would be a requirement. He remained focused and put in the work of getting the papers. I do not mean that you need to go back to class for a degree, but if your goal, for example, is to become a renowned expert in your field, your number one step in personal branding should be to horn your skills so as to be prepared when an opportunity comes knocking. This requires steadfast focus- aiming for gold. Consistency is paramount in personal branding. Just like Rome wasn’t built in a day, being consistent in whatever you do will help create a lasting impression. A favorable one in this case. Looking at Sonko’s case, his works of charity began years back before the launch of his gubernatorial bid. He managed to keep it going amid questions of his funding sources. When you decide to brand yourself for any role or area, consistency will facilitate the desired outcome. It is hard to create a desirable impression when you are not confident in your abilities. Think of personal branding for career advancement as packaging yourself in a display amidst all competition in a way that if your desired audience picks you over the rest. confidence within yourself facilitates a stronger external display of confidence to those u seek to impress. Simply put, you cannot display on the outside what you do not possess on the inside. confidence within yourself facilitates a stronger external display of confidence to those u seek to impress. Simply put, you cannot display on the outside what you do not possess on the inside. Let’s go back to Sonko’s case, he faced many challenges especially in the party primaries but he confidently stood his grounds alluding all confidence that he would carry the day in the polls. On the outside, many may not view your personal brand as you desire but your display of confidence in what you do will win over some souls. In Conclusion, You may not like Mike Sonko as a person or his style of politics but his is a story of how with determination, consistency and a well-executed personal branding one can achieve their wildest career goals. In a span of 10 years, he has progressed from being a matatu owner, senator, and now governor of a key city. And this is despite great obstacles. Ps: Personal Branding can sometimes be easier said than done, but a Career Coach can help you come up with and implement a strategy that works for you. 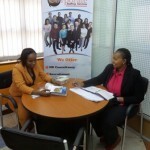 Perminus Wainaina is a Certified HR Consultant, Career Coach and Managing Partner of Corporate Staffing Services, a leading recruitment firm in Kenya. As a career coach, Perminus works with experienced professionals in helping them determine and achieve what they want in their career.